Thanks to the exceptional location of Koh Samui we can offer daily dive trips to the best spots in the Gulf of Thailand. Located to the southeast of the island, this is a perfect bay for students and those who prefer easier or/and progressive dive profiles. Literally translated as “deep bay” not because of its actual maximum depth 12m but because of its width, diving here starts from the sandy beach and progressively descends following one of its walls. Here you can easily find schools of Yellowtail Barracudas, Butterflyfishes and a wide variety of Coral and Sponges. On a lucky day we may be able to come across a Green Turtle as well as a Blue-spotted Sting Ray. 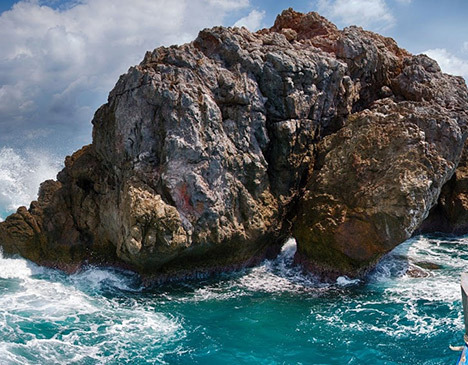 Northwest of the island, there’s Green Rock is a rocky formation full of crevices and overhands that lies 5m below the sea and offers a maximum depth of 25m. 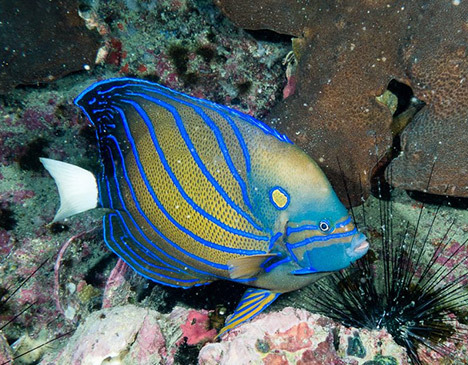 This is home to the notorious Titan Triggerfish as well as Blue-spotted Sting Rays and White-eyed Moray Eels. It isn’t unusual to find strong currents here that can be used to swim around the pinnacle, however, these days are not recommended for beginners. Located to the northeast part of the island, next to Green Rock, Twins is composed by two pinnacles that go down to 12 and 18m depth each. Here we can usually find Blue-spotted Sting Rays, White-eyed Moray Eels, Blue-stripped Angelfishes and Bannerfishes. If conditions are favorable don’t forget to ask your Divemaster to take you for a tour to see the local Nemo! In the east side of Koh Tao is Hin Wong Bay, perfect for all divers it includes a pinnacle located away from the coast that lies from 10 to 32m. We typically enter into the water from its beach when performing training dives up to 18m. Here we can find lots of little reef fishes as well as Parrotfishes and Rabbitfishes swimming through the corals and sponges. Located to the south of Koh Nang Yuang and to the western side of Koh Tao, White Rock consists of a main pinnacle surrounded by some secondary ones. Its maximum depth is 22m around the external pinnacles and 15m at the bottom of the main one. 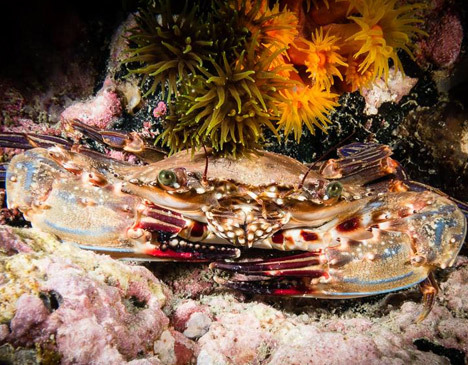 This is an excellent spot to search for small invertebrates like Nudibranchs and crustaceans such as Crabs and Shrimps. Lying at 10m over the main pinnacle there is also a beautiful small coral garden where it’s easy to find schools of Angelfishes and Butterflyfishes. Located to the east side of Koh Nang Yuang, it gets its name from the enormous amount of ornated coral rocks covering its bottom. 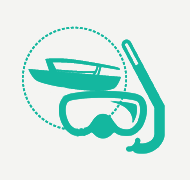 Its depth ranges between 2 and 12m, making it a perfect place both for divers and snorkelers. 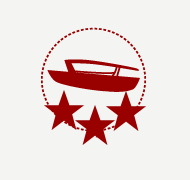 This is a great site to explore coral fauna and flora and, if we go further, we can find a small fisherman’s boat sunk back in 2009 which is now home to Fusiliers, Rabbitfishes, juvenile Batfishes and several invertebrates. Located to the north of the island, Mango Bay is a perfect spot for beginners and those who haven’t been in the water for long. Starting the dive from its sandy beach we’ll find a soft slope that will lead us along the rock line to a maximum depth of 14m. 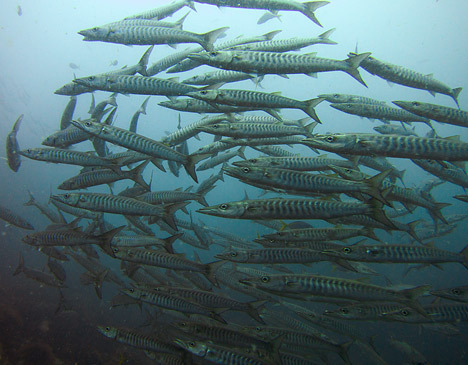 We’ll see lots of Soft and Hard Corals, Sponges and Clams and, if we keep an eye on the blue it is common to see schools of Fusiliers and Yellowtail Barracudas. This is one of the only places where you can find seahorses. Located to the southeast corner of Koh Tao, Shark Island was named after its presumed resemblance to a shark dorsal fin. Some people keep calling it Red Rock although it may create confusion as there is already a different spot with this name close to Koh Nang Yuang. The northern face of Shark Island descends across coral gardens until its maximum depth of 12m whereas the southern face reaches 25m depth and it’s packed with rocky formations. Butterflyfishes, Bannerfishes, Blue-stripped Angelfishes and Parrotfishes abound around this island as well as several species of Nudibranchs and, in a lucky day, you can also come across a White Tip Reef Shark and Leopard Sharks lying on its sandy bottom. Sunk in 2011 in cooperation with the Thai Government, this old navy ship is now one of the most demanded dive sites around Koh Tao. This wreck, 48m length overall and 7m beam, still keeps its two cannons on it, one in the bow (76mm) and the other one in the stern (60mm) along with its respective gunner seats. It lies at a sandy bottom at 30m depth which makes it unsuitable for all levels. Only Advanced OWD can dive down to it and only those with a PADI wreck specialty certification (or equivalent) can go into its depths. However, if you are already a certified OWD this place offers a great opportunity to upgrade your diving skills and knowledge by getting an Advanced Open Water Certification and even several diving specialties such as Wreck, Deep Dive (penetration) or EANx. This dive site ranges between 8 and 14m on average. 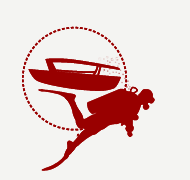 It is a great site for all kinds of divers but specially for the less experienced ones. A wide variety of soft and hard corals, overhangs and swim thru’s can be found under its waters. Angelfishes, Fusiliers, Butterflyfishes and also Blue-spotted Sting Rays can also be found here. Heading Angthong Marine Park the most northern point, this rocky formation is of great interest as we can find lots of Groupers and Snappers hidden in its multiple nooks. This is by far the best spot in the whole Gulf of Thailand to see Lionfishes and to swim among Cuttlefishes. We will also enjoy the amazing Coral landscape here filled with Barrel Sponges. Maximum depth is 25m. Considered the best dive site in the Gulf of Thailand, Sail Rock is a granitic formation in the middle of the sea, halfway between Koh Phangan and Koh Tao. It rises 15m above the sea level and reaches a maximum depth of 34m at the bottom and up to 40m at the small surrounding pinnacles. You can find a chimney going across the pinnacle and taking you down from 6 to 18m depth on its deeper gate. 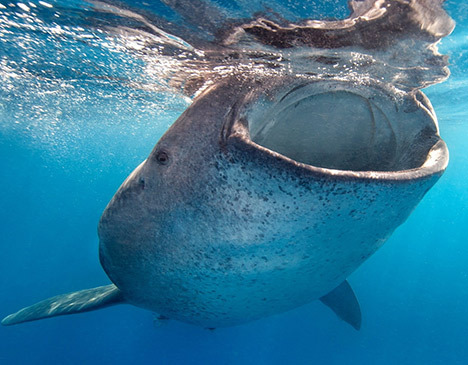 Here you will find big schools of Barracudas, Trevallies, Fusiliers, Tuna, Sail Fishes and, in a lucky day, seasonal Whale Sharks and Manta Rays. Do you know NOCTURNAL in Sail Rock? This is one of the three great dive sites around Koh Tao which, along with Sail Rock and Southwest Pinnacle, are in the middle of the Whale Shark migratory route. 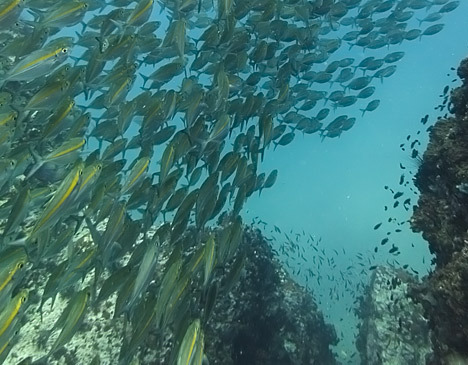 Chumphon is a rocky formation that lies from 14 to 36m depth, surrounded by other minor formations overflowing with marine life. Here we can easily see Corals, Sponges, schools of Batfishes, Barracudas, Giant Groupers and lots of Gorgonians.